Basil M Karatzas, Founder and CEO of Karatzas Marine Advisors & Co. 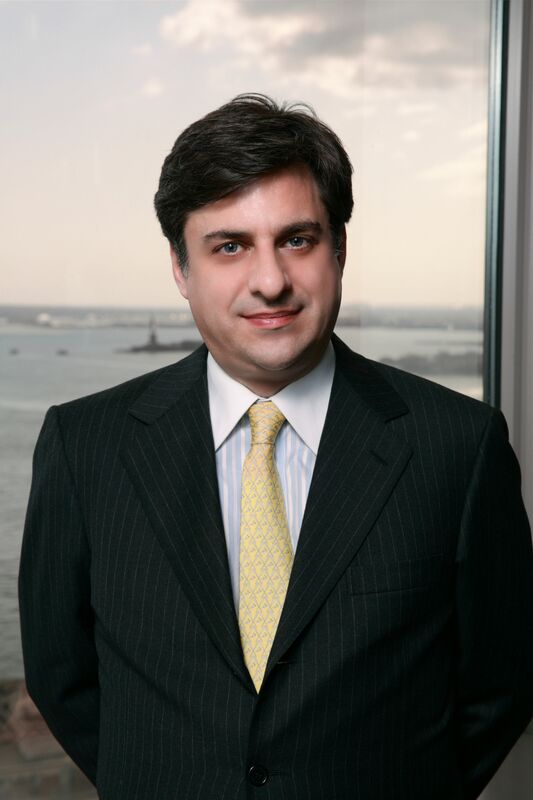 The primary author for the articles in this blog is Basil M. Karatzas, the founder and CEO of Karatzas Marine Advisors & Co. Karatzas Marine Advisors (KMA), based in Manhattan, New York and offices in Hamburg, Germany, is a full-service, customer-driven shipping finance advisory and ship-brokerage firm active in all major maritime segments (dry bulk, tankers, containership and offshore) with a worldwide footprint of clients. Basil brings more than fifteen years shipping experience in diverse industry functions and in ever increasing responsibility roles, with a proven track record of impeccable execution and delivering outstanding value to clients. Professional experience incorporates port operations, charterers’s and shipowners’ / husbandry agency, charter brokerage, ship brokerage and vessel management and vessel operations. Basil has originated multiple finance-oriented transactions in shipping such as sale & leaseback transactions, private placements for both equity and debt, and provided extensively advisory services, vessel valuations, fairness opinions, position papers and customized research reports, in the tanker, gas, offshore, dry bulk and containership markets in both the international registry and the Jones Act markets. Basil has represented on exclusive basis and repeatedly reference accounts such as of major lessors, lenders, financial owners, cargo interests, etc, including Fortune 10 companies, with the re-marketing and disposition of shipping assets, always having achieved substantial premium over prevailing market pricing and delivering compelling valued-added services to financial owners (delighted to provide references upon request). Basil has been educated at Harvard Business School (HBS) and at Rice University (Jones Graduate School of Management), and holds several professional affiliations and memberships, worldwide. Basil is a Fellow of the Institute of Chartered Shipbrokers (ICS) in the UK, a member of the Baltic Exchange in the UK, a member of the American Society of Appraisers (ASA) in the US, a member of the Royal Institute of the International Affairs (Chatham House) in London, an Associated Member of The Royal Institution of Naval Architects in the UK, a Harvard Business School alumnus, a Rice Graduate School alumnus, etc Basil is a prolific author with his articles and contributions having appeared in The Wall Street Journal, the Financial Times, The Economist, The New York Times, National Public Radio (NPR), The Globe and Mail, The Maritime Executive, and many more. Basil has been the protagonist of two Harvard Business School case studies about vessel valuations (case studies 9-210-058 and N9-211-014) and has been guest speaker at several professional conferences. © 2013 Basil M Karatzas & Karatzas Marine Advisors & Co. All Rights Reserved.